When it comes to music, my tastes are pretty eclectic. I have a slightly incongruous playlist, ranging from instrumental video game soundtracks to symphonic metal to prog-rock with lyrics about Greek mythology. But that last one is the one I want to talk to you about. Its nature is a little different from the others, like a rainbow unicorn of music. It belongs to a genre called filk. I am a producer and consumer of filk. 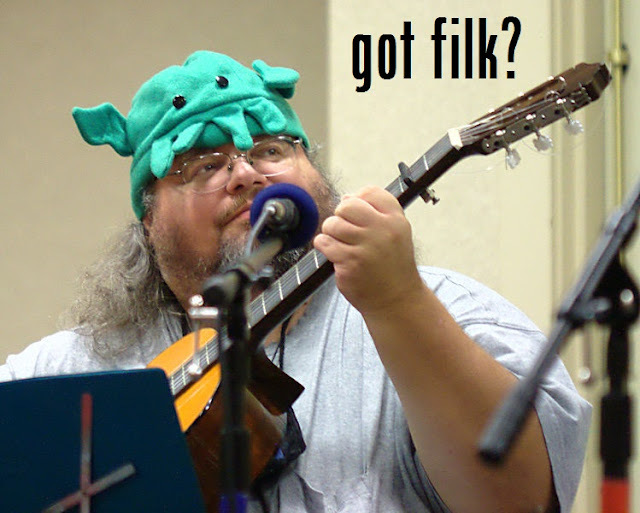 What is filk, you might ask? Many longtime geeks are still not acquainted with this obscure category of music. Imagine being at a convention. Choose your flavor. Now imagine a track of programming that is music entirely dedicated to sci-fi, fantasy, fandom, parodies, and some unexpected things like death sheep from hell. While concerts are a big part of filk programming, they are arguably not my favorite part. My favorite part is ubiquity of the song circle. A song circle is what it sounds like: musicians and listeners gather in a room, form a circle, and take turns belting it out. The style is of little consequence, although many who have been in the community for years tend to lean more towards the folky side of things. You can find everything from classic rock to Celtic-inspired to pop music, as long as the lyrics are twisted a bit sideways. One duo even performs Renaissance-style counterpoint. Everyone is encouraged to take a turn if they wish, or join in, or just sit back and enjoy. Beginners, expert musicians, and everyone in between has a place in the circle. It is a bit of an ethereal experience, to be honest. It is geeks coming together in the best of ways. My most recent song circles at MARCON, a general sci-fi/fantasy convention in central Ohio, included some unusual vocal jamming in addition to the regularly scheduled singers taking turns. That’s how organic filk can be. If all of this sounds like something you might love, check out the filk programming at your next convention. I swear I’m not an official filk ambassador, but sometimes I feel like one. Despite the stereotypes, it is not just the over-tired dregs of the con howling badly at 3 AM (though this can occasionally be part of the fun). It is so much more. It is a connection with nerddom in its most creative space. 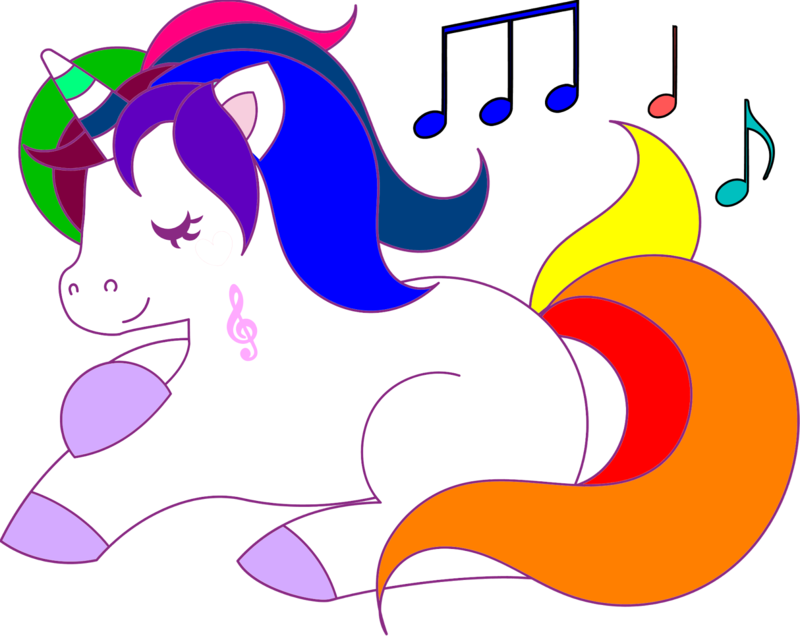 It is the rainbow unicorn of music. Stay tuned for much more in-depth exploration of filk. 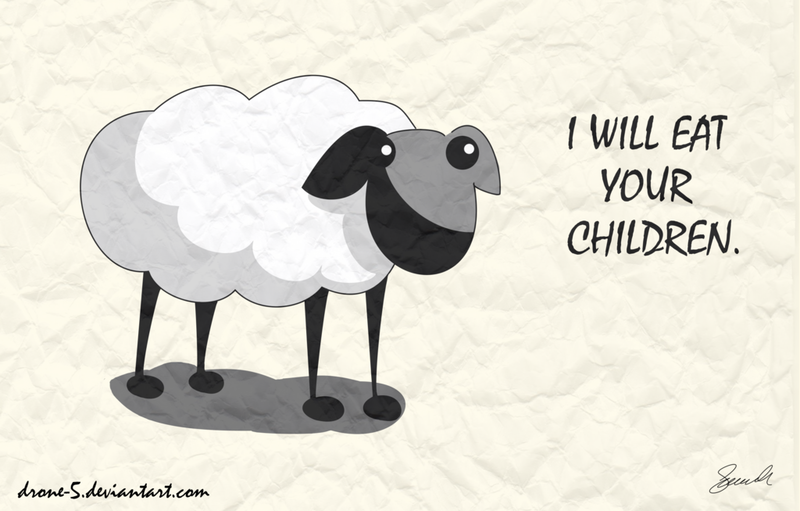 I promise it’s worth it. This sounds like the kind of unicorn magic I need in my live! Can't wait to learn more about it!